The following is an account of the history of fashion, as told by Italian professors along with some library and online research. Enjoy. Dresses & Garments: these artifacts become more rare before the 17th century, and the artifacts we have were typically of the most expensive nature, as cheaper garments were worn more frequently and were more likely to be ruined. Okay, so we’ve got our sources down. Back to the history! Prior to the mid-14th century, in Classical Periods, colors were dull and derived from a limited palette (typically white, yellow, red and some blues… all were dull). Clothing was neither cut nor sewn, but was draped indifferent to the body shape. Think: toga. Mid-14th century Europe brought about the appearance of a new type of clothing, with strong differentiation among men (short and tight, with silk tights) and women (long and close-fitting). Ah, how the times have changed! Clothes began to show the body, and were cut to form. Men wore bright, contrasting colors, short blouses and tight silk or wool stockings, with an emphasis on the groin region (although this was shunned by the Church). Note the image to the left of The Martydom of Saint Sebastian, by Vincenzo Foppa 1489. Women’s fashion was equally tight around the bust, with a low neckline, and typically hung quite low (the longer the dress, the richer the woman). We call this era the birth of fashion because there were changes in style taking place, there was an increase in options, and there was an increase in the speed of change of style (in contrast with previous uniformity in appearance). Furthermore, in previous times, unnecessary items were publicly burned by the devout. This was the first time in several hundred years where accessories could be displayed. There were also more available colors and construction techniques to provide increased options. People left serf conditions on farmland to move into cities for freedom and the ability to buy and sell. Innovation, itself, was centered in the urban communes. This was a new world, open to talent and ambition, based on different values from those in the countryside. Within the walled cities, people were getting rich. Here, fashion was born. Clothing became the means through which the new business community (merchants and craftsmen) could affirm its social, political and economic status over traditional dominating classes. The use of clothing as a means of attesting one’s social status is confirmed in the sumptuary laws, whereby appearance was a public decision, not a personal choice. More specifically, these laws dictated what could be worn, and by whom. Sumptuary laws were most common in England. Regarding new technologies, draped clothes were eclipsed by sewn garments thanks to buttons. 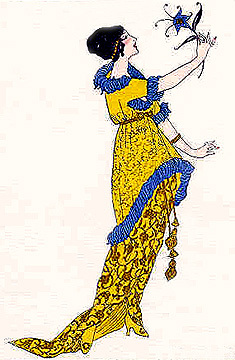 Buttons allowed men’s tights to fasten and women’s form-fitting dresses to be worn. Sleeves became important as detachable elements because they gave the appearance of a whole new dress, and could be easily removed for more frequent laundering. Colorful clothes were made possible due to improvements in dying. 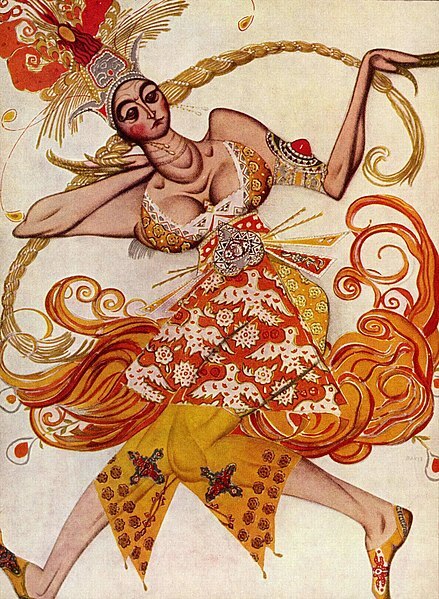 People in the Middle Ages placed great importance on color. The contrast in light versus dark, the social value of colors in the church or politics, and combinations of patterns or stripes prevailed. 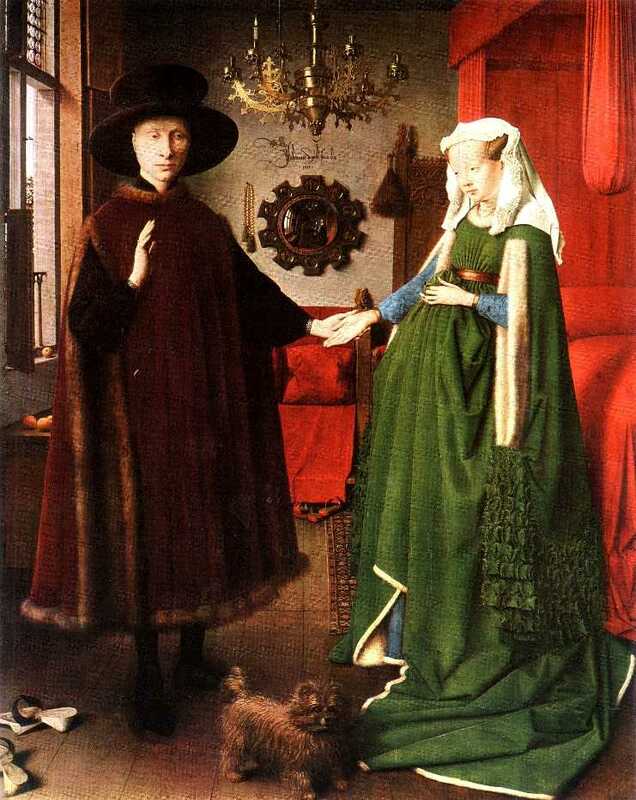 Take, for example, the famous Van Eyck painting, The Arnolfini Marriage, 1434. The husband is darkly dressed, demonstrating his seriousness, and that he is thrifty and committed. His wife wears green, demonstrating loyalty to her husband and wealth, while the white accents symbolize her purity. It was extremely difficult to find black or green clothing in this era, so this family is shown to be extremely wealthy. Modern age trend setters were focused solely in the royal courts of Europe. The Spanish Court was known as the Black Triumphant. The Papal court also demonstrated magnificent elegance. Yet most important was the French court under Louis XIV. 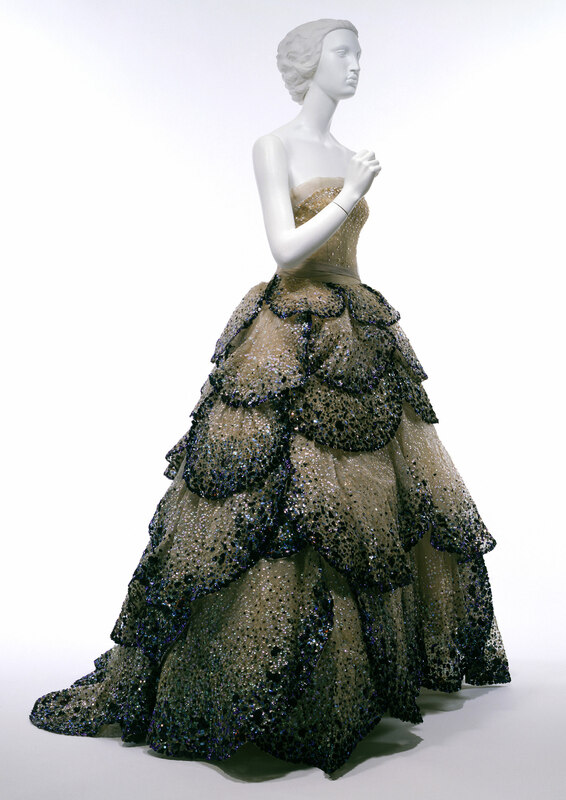 Versailles became the center os creation and diffusion of fashion, and Lyons became the center of silk production. The daily-changing spectacle that ended in revolution continues to influence fashion and culture through the tales of Marie Antoinette to this day. At the time, fashion ideas were transmitted through portraits, individuals (ambassadors or princes), gifts, and second-hand-clothes (the first example of ready-to-wear). We can see in this portrait of Louis XIV, he was quite a fashionable guy, with his wig, fur mantle, draped garment, silk stockings, and red heels!